We are excited to announce the redesigned IAM console, now with a streamlined look and feel that makes it even easier to manage your IAM settings. We’ve made it more convenient to manage large resource lists (for example, hundreds of users, groups, or roles), eliminated tab switching, and optimized the console to offer a better experience on mobile devices by restructuring resource detail pages and task workflows. Let’s take a look at the new features. We’ve made it easier to adopt the recommendations listed in our IAM best practices. The IAM console dashboard now shows you which recommended security measures are complete and how to take action on those that aren’t. We’ve restructured the IAM console dashboard to present a simplified view of your IAM resources and settings. We’ve also integrated a rotating feature spotlight in the upper-right corner of the console to make it easier for you to discover our latest features. We’ve also addressed a frequent request to improve the experience for navigating through multiple pages of resources, such as users, groups, and roles. Previously, you could only view 10 resources at a time, and if you had more than 10 items in a resource list, you had to page through them. Now, we’ve enabled continuous scrolling for faster and more convenient viewing of long resource lists. The console’s new look and feel make it easier to see crucial information on all devices. For example, we’ve eliminated pop-up dialogs and tabbed panels. Resource-specific detail views and console wizards are now full-screen, providing a better experience when navigating these pages on mobile devices. 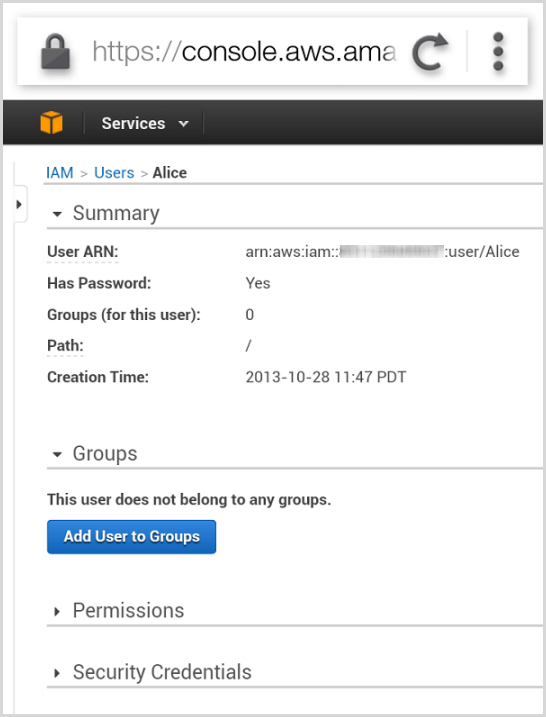 To get started, visit the IAM homepage in the AWS Management Console. If you have any questions, please post them to the IAM Forum.